Streaming the Latest ExpressionEngine News. 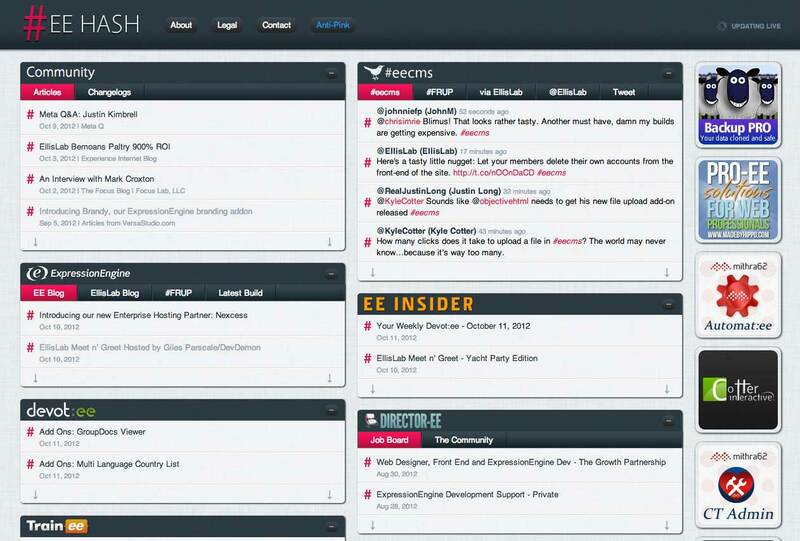 EE Hash provides real time news about ExpressionEngine, the ExpressionEngine community, and sites running ExpressionEngine. 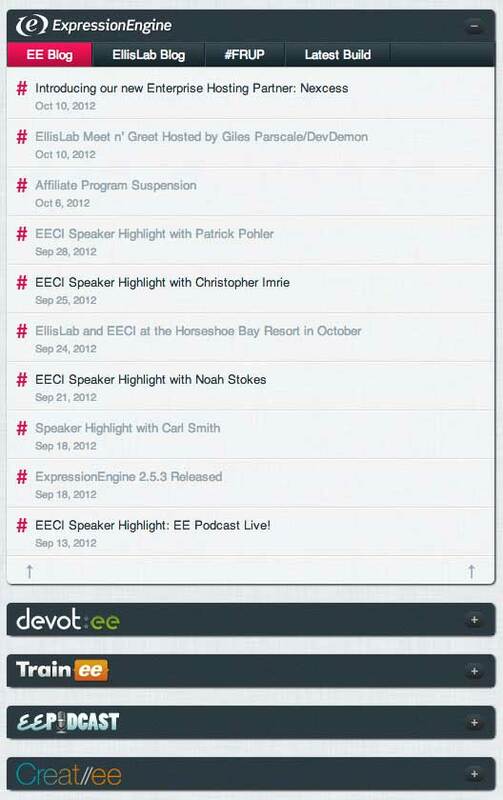 EE Hash compiles news from all the leading ExpressionEngine new sources, in real time. With a simple to use interface, staying updated is easy. 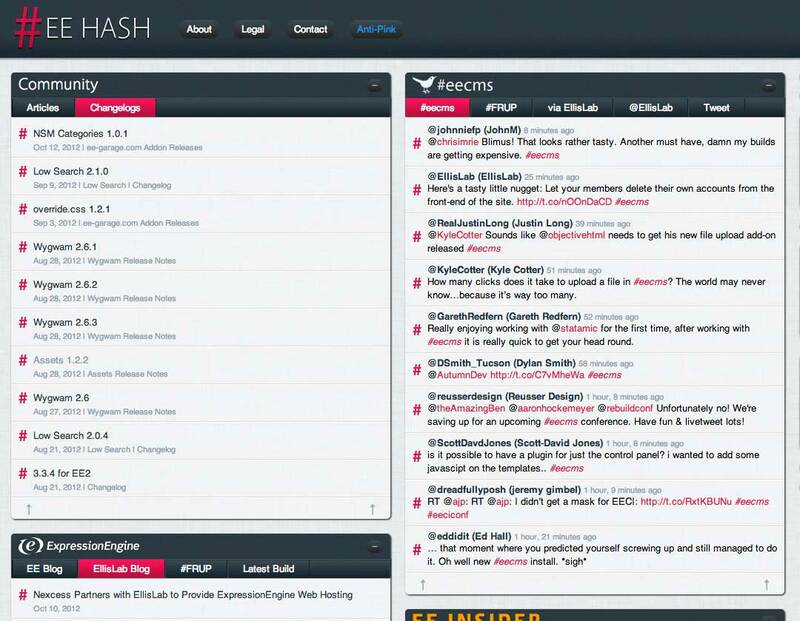 EE Hash is the ExpressionEngine news feed aggregator. All the community resources, in one location, updated in real time. 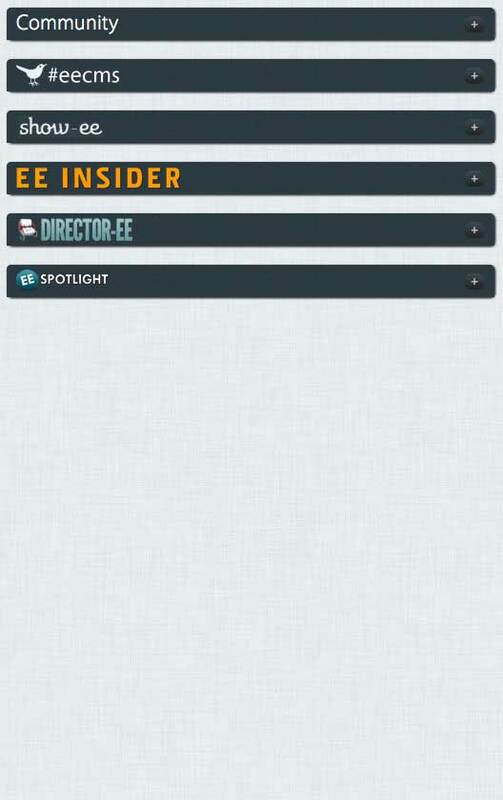 Forget hassling with your feed reader, when you have EE Hash. Creating a simple, useful User Experience was key. 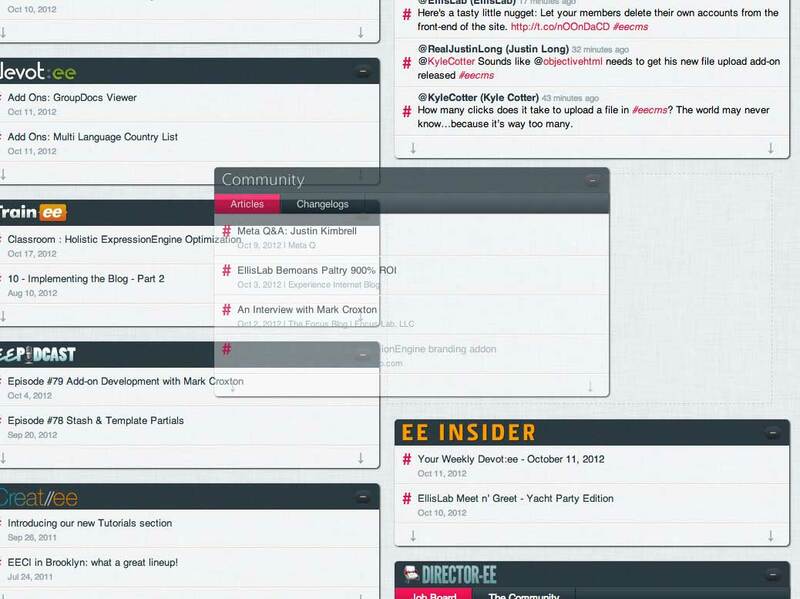 Users can easily re-order widgets, collapse unused widgets, and control exactly what they see.